1. The UHI model championed by the Minister for Health is largely based on a Dutch model. It took almost a decade from initial discussion before the radical overhaul necessary for change of this magnitude was ready to be implemented in the Netherlands. Even then it took another five to six years before teething problems were adequately dealt with and the system settled into level flight. And although now the system is on course to achieve savings, the Dutch government saw significant increases in the cost of UHI in the years following its introduction. 2. In order for Dr Reilly’s radical change to succeed, the fundamental building blocks of a functioning health service would have to be already be in place. The Dutch spent decades building up a highly functioning primary care sector based on significant investment in general practice. In the Netherlands some 10 per cent of the health budget is spent on general practice – in the Republic just 2.3 per cent goes to the sector. In addition, the Minister for Health has presided over a cumulatively savage series of cuts to the medical card system – including a stripping away of general practice infrastructure — with the effect that what was one of the better functioning aspects of our public health system is now on its knees. This means it is in no position to provide the stability needed to support the seismic shocks the introduction of UHI will bring to the health system as a whole. 3. A project of this magnitude needs a specific budget for change. To expect a successful implementation of UHI without such a budget is naive. Speaking at a healthcare conference this week, the director general of the Health Service Executive, Tony O’ Brien, pointed out the HSE had no budget for change, in contrast to the newly-created Irish Water which has €150 million allocated for this purpose. Although presumably not said as a criticism of government, it is a stark reminder from the man responsible for implementing future change in the health service that his line Minister has not secured any change funding for such a challenging project. 4. The UHI paper refers to a particular “basket of services” which insurers must supply as a minimum package to everyone. But it doesn’t give sufficient detail on what specific services these might be. Will citizens be entitled to access community occupational therapy and speech therapy services under UHI? Will the plan cover any medication costs or will this involve another scheme encompassing additional payments from already hard-pressed patients? The Dutch experience is not in the Minister’s favour: the minimum basket of services in the Netherlands has itself been “minimised” over time. 5. There is already a significant divergence in government over the cost of UHI. The Minister referred to a premium cost of under €1,000; the Department of Public Enterprise estimated an annual UHI charge of €1,600 per person. This is against a background of inexorable increases in the cost of private health insurance over a number of years which show no sign of slowing down. A middle-class consumer making a judgment on the future personal cost of healthcare is unlikely to conclude that either figure is realistic. 6. It is difficult to see Government backbenchers (and perhaps some Ministers) selling UHI on voters’ doorsteps in the run -up to the next general election. Standards in the present health system will fall further as funding continues to drop; the cost of private health insurance will have increased; and the first faltering steps towards change will further decrease public confidence. Meanwhile, a savvy Opposition will pursue many of the principles behind UHI under the banner of universal health care but with an alternative funding model. The Minister must be given credit for having a vision for our health service and for facilitating public consultation and encouraging debate on universal health insurance. However, a broader realpolitik suggests his plans for a universal health insurance model will never be implemented. Until recently, autism spectrum disorders (ASD) were viewed as a relatively rare condition. Increased awareness and recognition has led to increased diagnostic rates and now the prevalence of ASD is thought to be relatively common, affecting about 1/150 people in the population. Genetic risk factors are well recognised as playing a predominant role in ASD. Early evidence for this was identified in twin studies in the 1970s. These studies compare the rate of a condition such as ASD in identical twins (who share 100 per cent of their DNA) with non-identical twins (who typically share 50 per cent of their DNA). A large number of such studies have consistently found that if one of a pair of identical twins is autistic, the chance that the other one will be too is 60-90 per cent, while the concordance rate in non-identical twins is less than 30 per cent. Family studies have shown that the risk of having ASD is 10-20 per cent if you have an affected first-degree relative. Modern genetic tools, especially DNA sequencing technologies, now provide the means to investigate the role of genetic factors in a large number of individuals at a much higher resolution than previously. The costs of these studies have fallen considerably and this has led to several large-scale international studies of autism genetics that have included Irish families. A major finding to emerge is that many cases of autism are caused by rare genetic mutations, which can be recognised currently in 15-20 per cent of cases and this is likely to increase as more studies are completed. Some of the time, these mutations are inherited from the parents, but in many cases they are associated with new mutations – ones that arose de novo (afresh) in the generation of sperm or egg cells. These de novo mutations, which are not carried by the parents, can give rise to sporadic cases of autism, with a genetic cause but no family history. It is now possible to screen for many of these mutations and to advise people about recurrence risks. This is hugely important to couples with a child with ASD who frequently overestimate their risk of having another child with ASD. Often couples choose not to have more children but if a child has been affected by a de novo mutation, the risk of another child being affected is no higher than the general population. It is also clear that some families carry very high genetic risks for ASD, due to inherited mutations. Screening for rare mutations in families with autism has become a standard of care in many countries and is increasingly being conducted in Ireland. This has led to the identification of a growing number of specific genetic conditions, which can sometimes cause ASD. Such mutations do not always specifically lead to autism, however. They can also occur in patients with other symptoms, such as epilepsy, schizophrenia or other neurological or psychiatric conditions, and sometimes occur in a very small number of typically developing people. Autism is thus one of a range of possible clinical manifestations of mutations that alter brain development or function. 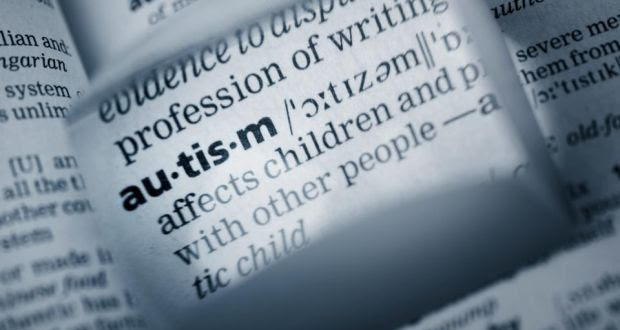 Researchers at Trinity College Dublin, NUI Galway and Autism Speaks are currently holding a consultation regarding the establishment of an autism registry and biobank (iarb.ie). A clinical registry will help establish the scale of autism in Ireland and the needs of the community while a biobank of biological materials, such as blood and saliva, would provide researchers with data to investigate the genetic factors that may contribute to autism. The NHS is facing the biggest challenge in its 66-year history and must radically change how it cares for patients in order to cope with intensifying pressures, the service’s new boss has warned. 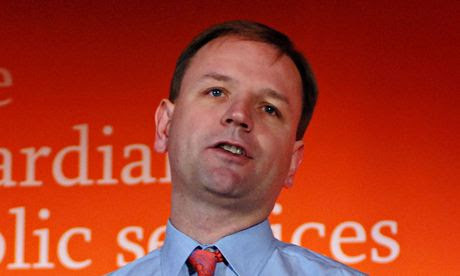 A budget squeeze combined with a growing demand for care driven by the ageing population means that “for the NHS the stakes have never been higher”, Simon Stevens will say on Tuesday – his first day as NHS England’s chief executive. He will use a speech in Newcastle to mix praise for the NHS he has inherited with a clarion call to its 1.3 million staff to embrace major changes to their roles over the next few years in order to improve the quality of care patients receive. In his first public statement Stevens will identify improved care of older people, better joint working between the health and social care services and new models of care, which harness advances in medicine as being among his key priorities. An NHS facing new challenges will need to find new solutions to stay sustainable, he says. “An ageing population with more chronic health conditions, but with new opportunities to live as independently as possible, means we’re going to have to radically transform how care is delivered outside hospitals,” he will add. Stevens, 47, will also plead with the many different types of staff who work for the NHS to move beyond divisions and work much more closely. “Our traditional partitioning of health services – GPs, hospital outpatients, A&E departments, community nurses, emergency mental health care, out-of-hours units, ambulance services and so on – no longer makes much sense”, he will say. Dr Mark Porter, chairman of the British Medical Association, said that Stevens – a health adviser to Tony Blair’s government from 1997 to 2004 – is arriving when “the NHS is facing a perfect storm of rising demand, funding pressures and worryingly low staff morale”. Both he and Andy Burnham, the shadow health secretary, cautioned that Stevens would have to confront problems created by the coalition’s shake-up of the NHS in England last year, especially involving competition. With the service still digesting the lessons of the Mid Staffs scandal, Stevens will acknowledge that, while “the quality of NHS care is usually very high, occasionally it isn’t”. He will also laud the key role of whistleblowers in exposing poor care and warn that “an NHS with a ‘like it or lump it’ attitude will simply not survive”. From what I can glean from the newspapers, Dr James Reilly has moved to re-enter the Medical Register. Was he in receipt of payments from the GMS as a GP principal when he was not a registered medical practitioner? Does a locum registered doctor qualify to continue a practice when the contracted GP is no longer a registered medical practitioner? Of course not! Will some TD please ask these questions in Dail Eireann and seek out the answers. If this is ignored, is this more evidence of new politics? Seems the reform is a reverse to what ever you’re having yourself! The St Vincent’s Healthcare Group has said it disagrees with the HSE over whether consultants paid by the exchequer and employed in its public hospitals can also work in its private hospital. The group did not provide assurances sought by the HSE by yesterday that it would engage in a process aimed at ending this practice. The HSE had warned that the group could face significant financial sanctions if it did not comply with its request. In a letter to the HSE, the chairman of the St Vincent’s Healthcare Group, Prof Noel Whelan, said the board disagreed with its interpretation of the 2008 consultants’ contract based on the opinion of its legal advisors and the discussions of a task force convened a number of years ago involving both the hospital and health service management. The dispute between the HSE and the St Vincent’s healthcare group centres on whether consultants employed in the public hospitals on a particular contract known as type B can engage in practice in the group’s private facility. Since 2008, new hospital consultants have been appointed under either a category A contract, which allows them to work only in public hospitals, or on a type B contract, which permits limited private practice in public hospitals. However, the St Vincent’s Healthcare Group told the HSE earlier this month that its legal advice was that, as its private hospital was co-located with the public facility and operated by the same employer, its category B consultants could work in both institutions on its campus. HSE director general Tony O’Brien said today (MON) that it had been misled by the St Vincent’s Healthcare Group and warned that if the situation over consultants’ private practice was not resolved, future State investment could be in jeopardy. Any cut to capital or development funding would not necessarily affect patient care at St Vincent’s in the immediate term. Mr O’Brien said it had now transpired that despite written assurances to the contrary which were received in the not too distance past, “there is a private hospital which is effectively being run on the back of the public hospital, through consultants who’s salaries are paid by the taxpayer”. The Irish Times already reported that if there was no satisfactory resolution to the row, the HSE was planning to cut all capital or development funding to St Vincent’s and St Michael’s hospitals in south Dublin as well as to suspend their rights to appoint new consultants and refuse to sanction further lines of credit. Feel like you’re losing your marbles when you haven’t had enough sleep? Well, you might not be too far off the mark. Research has previously found that we can never fully repay a sleep debt. This is troubling given that as a sleep debt mounts, from a chronic lack of time spent with the sandman, so too does our risk of weight gain,diabetes, heart disease, stroke, and memory loss. A new study has found that chronic lack of sleep may also lead to irreversible loss of brain cells. 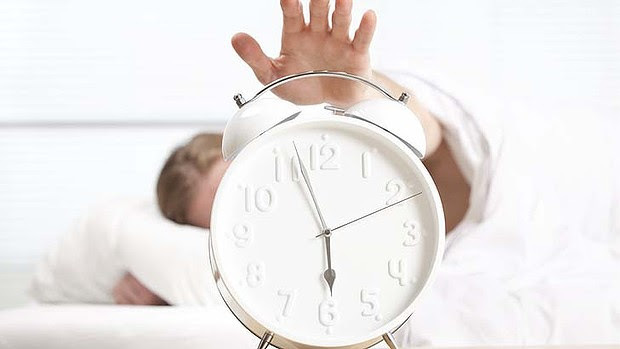 Published in The Journal of Neuroscience, the researchers revealed that extended wakefulness is linked to injury to, and loss of, locus coeruleus (LC) neurons that are essential for alertness and optimal cognition. “In general, we’ve always assumed full recovery of cognition following short- and long-term sleep loss,” said lead researcher Sigrid Veasey, from the University of Pennsylvania. “But some of the research in humans has shown that attention span and several other aspects of cognition may not normalise even with three days of recovery sleep, raising the question of lasting injury in the brain. To determine the damage to the neurons, the researchers put mice on the same typically truncated sleep pattern as shift workers; they had periods of resting normally, followed by periods of short and extended wakefulness. After just several days of shift worker sleep patterns, there was increased cell death, and the mice lost 25 per cent of the LC neurons. “This is the first report that sleep loss can actually result in a loss of neurons,” Veasey noted. The findings are not surprising, says Dr Angela D’Rozario, from the Woolcock Institute of Medical Research. While it is clear that exposure to sleep deprivation has a detrimental effect on us mentally, physically and emotionally, the tipping point varies among individuals. Not everyone requires the same amount of sleep and recent research found that, generally speaking, women need more than men. Still, around half of Australians say they are “exhausted” and sleep-deprived. Understanding this is the “holy grail” of sleep study, says D’Rozario. The next step is working out whether the latest research translates to humans and determining what durations of wakefulness place individuals at risk of neural injury. The Penn University team plan to examine these effects in shift workers. They are also planning autopsy studies of shift workers for evidence of increased LC neuron loss and signs of neurodegenerative disorders such as Alzheimer’s and Parkinson’s. “If we can show that we can protect the cells and wakefulness, then we’re launched in the direction of a promising therapeutic target for millions of shift workers,” Veasey says. While many of the mysteries around sleep remain elusive as a dream, there is one thing those in the field of sleep study know for sure. If, after raising the issue for almost three decades, the British Veterinary Association was beginning to despair of ever securing front-page coverage for its campaign to ensure all animals are stunned before slaughter, it can breathe a sigh of relief. But probably a very short and shallow one. Thanks to the interview its new head gave to the Times – picked up by the Today programme and countless others – the matter is now nothing if not high-profile. And, coming weeks after Denmark in effect outlawed kosher and halal slaughter, it is certainly topical, which may explain why the BVA’s president-elect, John Blackwell, judged it a more alluring target than even the government’s badger cull. Blackwell’s suggestion that the UK “may well” have to follow Denmark’s example if British Jews and Muslims refuse to allow animals to be stunned before they are killed did not please the groups concerned. Nor did his assertion that cutting the throat of an animal without stunning it caused prolonged and unnecessary suffering. 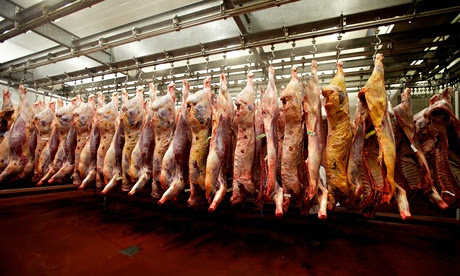 Although the BVA is a seasoned campaigner on the issue – and has also urged the government to label non-stunned meat to alert consumers to its origins – Blackwell’s intervention has met with a swift and furious response from Jewish and Muslim groups, who argue their long-practised methods are completely humane. They have also hinted his comments could be used by far-right groups to stir up community tensions. Suggestions that the animal had its throat cut “and you just watch it while it bleeds to death”, said Arkush, were pejorative, misleading and “could not be further from the truth”. Shimon Cohen, campaign director at Shechita UK – which campaigns for the right to carry out Jewish religious slaughter – described Blackwell’s calls as “an extraordinary dereliction of duty” and asked why he had decided to focus on an issue that affected only a tiny minority of animals. Although Shechita UK has no figures for the number of lambs and sheep slaughtered according to Jewish law in the UK each year, it estimates the number of cows to be 15,000-20,000 and the number of chickens to be around 1m. Figures fromCompassion in World Farming suggest that 32m chickens and 70,000 cattle are slaughtered without being stunned in the UK each year. “The fact is that religious slaughter is at least as humane as the industrialised methods used in conventional mechanical slaughter, which include electrocution, gassing, shooting, trapping, drowning and clubbing,” said Cohen. His views were echoed by Arkush, who said that 9% of animals in the UK were mis-stunned, causing them pain and distress before slaughter, adding that European veterinary bodies put the figure at around 31%. He also said that focusing on minority religious practices “could give ammunition” to the far right, which already uses halal slaughter as a means to try to attack the Muslim community. “People should be more responsible in how they tackle this. It’s going to cause confusion and will be used by elements to have a negative effect.” Blackwell told the Guardian that while a ban “may well be the end point”, he would prefer to get all the groups involved together so that they could discuss the scientific evidence on stunning. He admitted that human and operator error would inevitably lead to some mis-stunning but said he did not accept that it was as common as had been suggested. Blackwell also said that while the BVA acknowledged the sensitive nature of the debate, it was not seeking to stir up a religious or political debate on the issue of slaughter. Blackwell’s calls won the support of Compassion in World Farming, which said stunning worked and was merciful. The rift between Minister for Health Dr James Reilly and Minister for Public Expenditure Brendan Howlinover universal health insurance as detailed in this newspaper highlights a deeply dysfunctional relationship at the heart of government, a matter which must be of great concern. However, the reports of the bickering also raised serious questions about the move to universal, or compulsory, health insurance which is the fundamental health policy objective of this government. Last year, my party commissioned and published an independent analysis of what compulsory health insurance might mean for the Irish people. The report was authored by Dr Brian Turner, health economist at University College Cork. The Government’s proposed reforms envisage a continuation of taxation as the main funding source for our health services, but supported by universal health insurance. This would represent a major change to the nature of health insurance in Ireland. Furthermore, it is a major change that could be deeply problematic as universal health insurance may involve certain issues that would not arise in a tax-funded system. Under Government plans, it would be mandatory to purchase health insurance, for the purposes of hospital and some primary care cover. It is anticipated providers will compete to provide value for money to purchasers, with insurers permitted to engage in selective contracting – in other words not being obliged to cover all providers. Public hospitals are to become independent trusts or organised into groups. That reorganisation of the public hospital system is under way and these trusts or groups will be in competition with private hospitals or groups. The basic premise is that competition between insurers will keep premiums under control for consumers. That is the theory. However, it has to be pointed out that, to date, competition in the Irish private health insurance market has not kept premiums under any sort of control. This is not to say that competition is responsible for the premium hikes, but nor does it follow that competition will keep costs under control. Another issue that arises in relation to the affordability of universal health insurance cover is that section of the population that currently has neither a medical card nor private health insurance. Central Statistics Office figures indicate that this cohort accounted for 23 per cent of the adult population in 2010. If these people do not have a medical card then it is unlikely that they would fall into the 40 per cent of the population for whom universal health insurance premiums would be paid for in full by the State. Therefore, they will have to pay some or all of their premiums themselves. However, given that they do not currently have private health insurance, the obligation to pay premiums for universal health insurance would represent an extra financial burden. Figures from the Health Insurance Authority show that the average premium paid per person in 2012 was €1,048. This has not gone down since then. So even if payment is subsidised to a certain extent, paying for universal health insurance could be beyond the capacity of many of those not currently paying for private health insurance. On top of this, if premium inflation is not brought under control then big increases in exchequer funding will be required year on year to continue paying for these premiums. The knock-on effect of this is that the Government would need to either raise additional tax revenue or reduce spending in other areas to compensate. 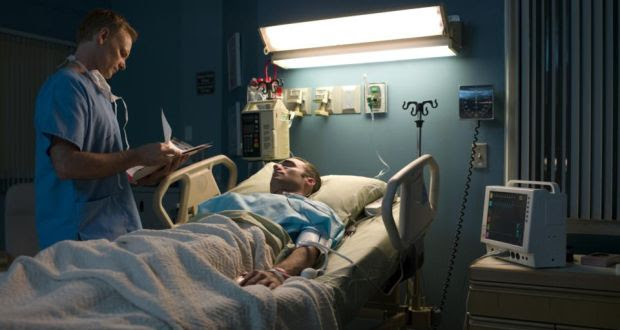 Bear in mind that universal health insurance with multiple purchasers of care means the State surrendering some control over the overall level of resources devoted to health. It gives responsibility for the purchasing of healthcare to private insurers. Now healthcare is rationed in every country as there is no country that has the resources to deliver all of the healthcare needs of its citizens when they require them. Universal health insurance means insurance companies will be in charge of the rations and it is not clear at this point how they will carry this out. Furthermore, there must be concern about the cost of such a system. Insurance-based systems tend to have higher spending on health than those funded primarily from taxation. The Dutch system, on which Fine Gael based much of its proposals, introduced universal private health insurance with managed competition in 2006. Health care spending per capita increased by 46 per cent between 2005 and 2010. This system is based on competing insurers, with consumers obliged to purchase insurance, and is similar to what the Government wants to bring in here. If Howlin’s department is right, that may have been an understatement. They maintain that people with GP-visit cards or those with no medical card or private health insurance could pay up to €1,672 – €32 per week – for the standard package of benefits under universal health insurance. Before the last election Reilly told us that “no one will pay more than they pay now”. It is increasingly clear that this was just untrue. The HSE has written to the agencies advising them that their cash funding will be reduced by 20% from 21 February until they provide confirmation that they are compliant with public health sector pay policy. They are also required to submit the necessary detailed business cases. The HSE said the reduction in cash funding is not a budget cut and therefore should, under no circumstances, impact on the provision of services to patients or clients. The executive said that 10 agencies are compliant with pay policy and further 27 agencies have presented 88 business cases for additional allowances. The HSE has appointed an internal review panel of senior staff to examine the business cases. In some cases, agencies have ceased paying allowances. St Vincent’s University Hospital said it is engaged in a process with the HSE and will not be making any further comment. Responding to the decision, SIPTU’s Health Division Organiser Paul Bell called on the HSE to guarantee that services to the public will not be negatively impacted upon by this action. “I have serious concerns about this approach to addressing the salary non compliance issue as it may not yield the intended result,” he said.